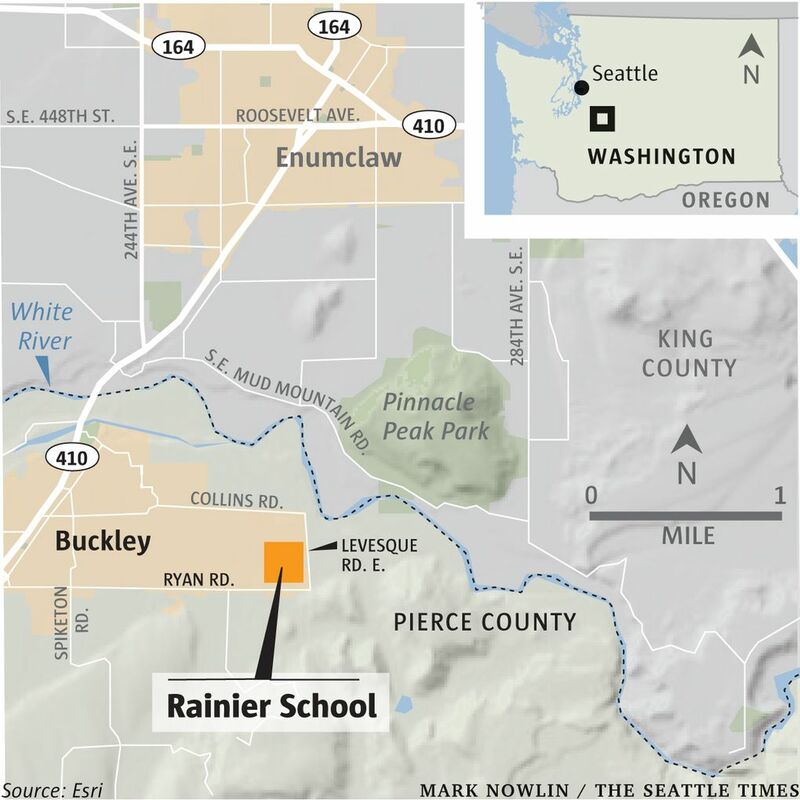 The report by the advocacy group Disability Rights Washington is the latest to raise questions about the Rainier School, which cares for adults with serious intellectual and developmental disabilities. 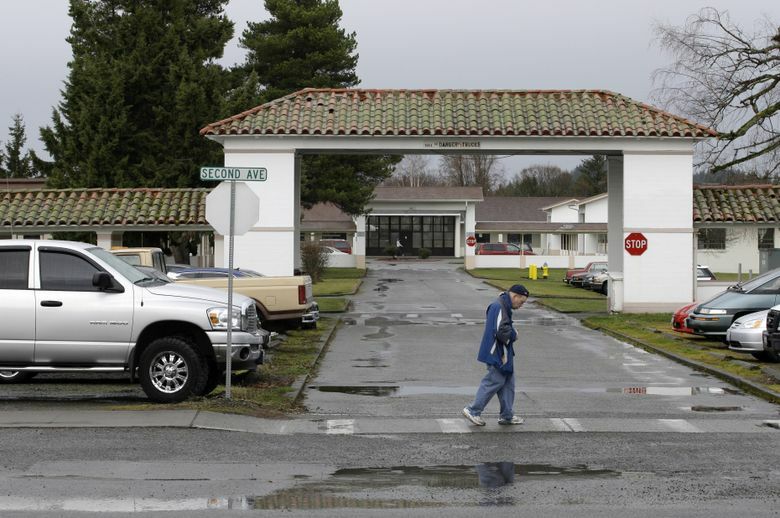 OLYMPIA — Two residents at a state institution for developmentally disabled people choked to death while eating in recent years — and a new report says people remain at risk during meals at the facility in Buckley, Pierce County. Citing several issues with the facility, federal authorities have decertified part of the institution, which serves about 310 people. The Washington state Department of Social and Health Services (DSHS) runs the facility and is appealing that decision. The Disability Rights Washington report details several instances in 2017 where residents were allowed food they shouldn’t have, or food that should have been ground or cut up into smaller parts to help them swallow. “When we talk about choking, it’s just a matter of time before someone else dies,” said Reisha Abolofia, an attorney with Disability Rights Washington and author of the report. In one instance, staff allowed a man to eat French fries that should have been chopped up, according to the report, which is based on state surveys of the institution. In another instance, a staffer encountered a resident eating slices of white bread. The staffer told him, “ ‘you aren’t supposed to have that’ and attempted to remove the bread from his mouth with her bare hands,” according to the report. The latest findings come after one Rainier school resident choked to death in 2015 on a peanut butter and jelly sandwich at a summer picnic. Another choked to death on a hot dog in 2016 during the institution’s annual summer event. In both those instances, according to the report, the staffers at the facility didn’t follow the individual meal plans for those residents. The report also found that two other residents who died did not get proper preventive medical care. And it detailed instances where staff yelled at residents, or left residents alone for hours with nothing to do. A spokeswoman for DSHS on Wednesday declined to comment, saying the agency is still reviewing the report. In a December news release, DSHS declared it would appeal its partial decertification of Rainier and another institution, Fircrest in Shoreline, and seek an improvement agreement with the Centers for Medicare and Medicaid Services. Such an agreement would allow the agency one year to correct the issues at the Rainier School and restore its federal certification. “We have been working proactively to address these issues and are committed to achieving compliance,” said Evelyn Perez, assistant secretary for DSHS’ Developmental Disabilities Administration, in the December news release. In his 2018 supplemental budget, Gov. Jay Inslee proposed funding for more staff at Rainier School to help bring it into compliance. Meanwhile, lawmakers are considering a capital-construction budget that includes funding to repair and replace roofing at the facility. But Abolofia said the issues with Rainier School are too problematic and the state should shut it down.